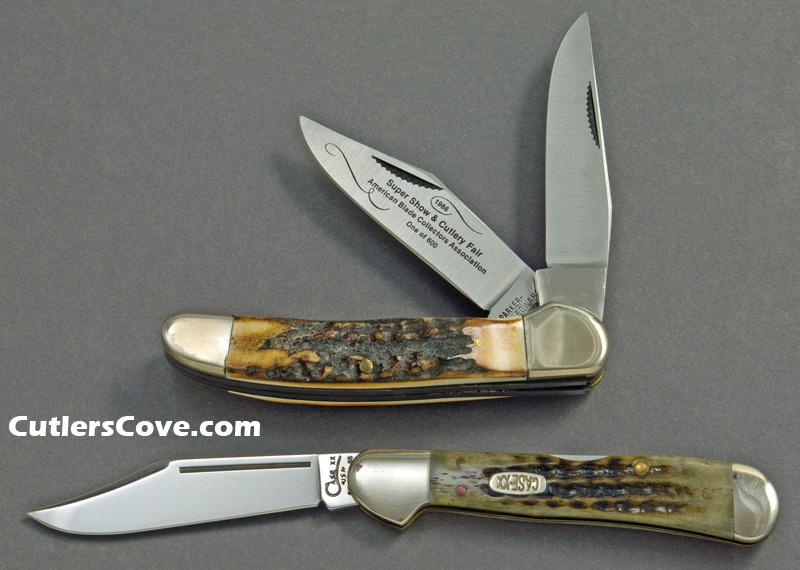 Parker-Edwards Copperhead and Case Copperlock in near mint or better condition with genuine stag and bone handles. We only have one each to sale and the one in the photo below is the one you will receive. All made in USA. Copyright © 1999-2017 Cutler’s Cove Knife Emporium ™ All rights reserved. * Price is based on Pocket Knife Trader's Price Guide Vol. 6 ©2003 by Jim Parker on page 339. Seven year old price has a little added!